Investment Categories are a powerful tool to improve the organization, tracking and management of your current holdings. You can add categories to any portfolio’s “Prices” or “Fundamentals” view. A category can contain individul positions as well as other categories, allowing you to create a hierarchy of categories. 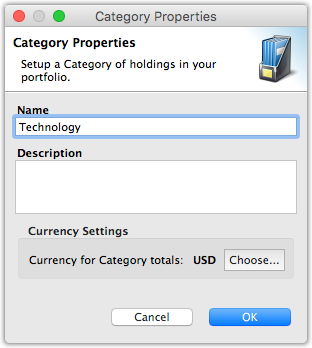 An example portfolio that uses categories can be seen in the following image. 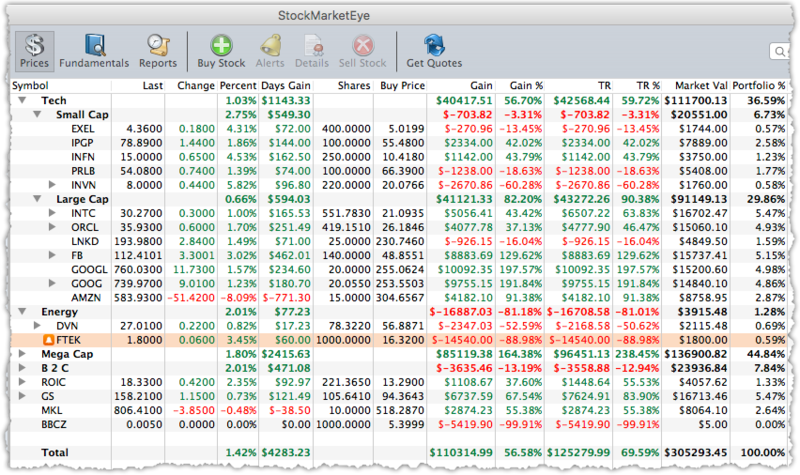 Categories lines in the portfolio are shown in bold and display the totals for the contained positions and sub-categories. Before you create a new Category, we recommended that you turn off any current column sorting. If the lines in the portfolio are being sorting by one of the columns, the Category will not appear where you expect it to and moving items into a Category may not work as you expect. You can turn the sorting back on after you have your Category setup. To turn off column sorting, click 3 separate times on one of the column headers: the first time will turn on sorting for that column, the 2nd time will change the direction of the sort, the 3rd time will turn off sorting. In the “Category Properties” window, add a Name and optionally a Description. You can also set the currency to use for the category. Click “OK” to create the category. 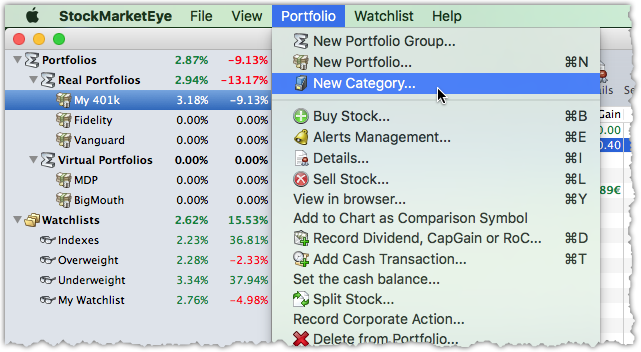 Locate the new category in your portfolio. You can now start using your category by moving positions and other categories into it. You can drag-and-drop positions and categories in the portfolio to arrange them to your needs. Only the “Cash” and “Total” lines can not be moved or removed. You can only delete a category if it does not contain any positions or other categories. 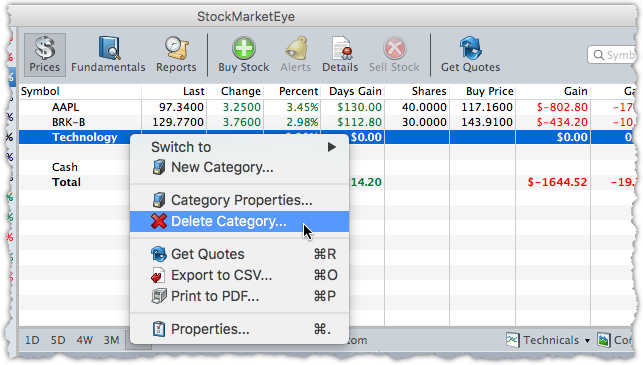 Right-click (or ctrl-click on Mac) on the empty category to access the context menu, then select “Delete Category...”. Confirm that you want to delete the category. The category has been removed.